It would be if it weren’t marketed to the mobile urbanite who prefers an easy commute. Though the vehicle’s conspicuous Swiss emblem and design hints at the classic Army knife multi-tool, it’s 100% pure Voltitude. 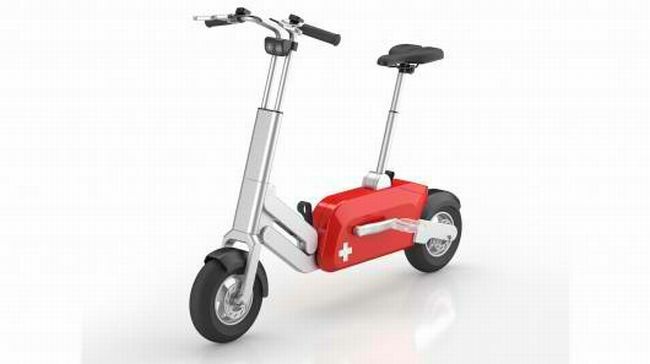 The genius of the Voltitude is it’s an e-bike that could be folded and rolled into the office. Unfortunately, it isn’t available yet in retail outlets, much less outside Switzerland. In fact, Voltitude the company are actively seeking investors and entrepreneurs at the moment.